Hardy water lilies are a sub-set of the water lily family that is able to withstand colder winter temperatures, which makes it very popular in North America due to colder winters. These plants start to bloom every year in the spring after being dormant during the winter and they come in white, yellow, pink and red. They are a favorite among pond keepers due to their beautiful appearance and their tolerance for colder temperatures. 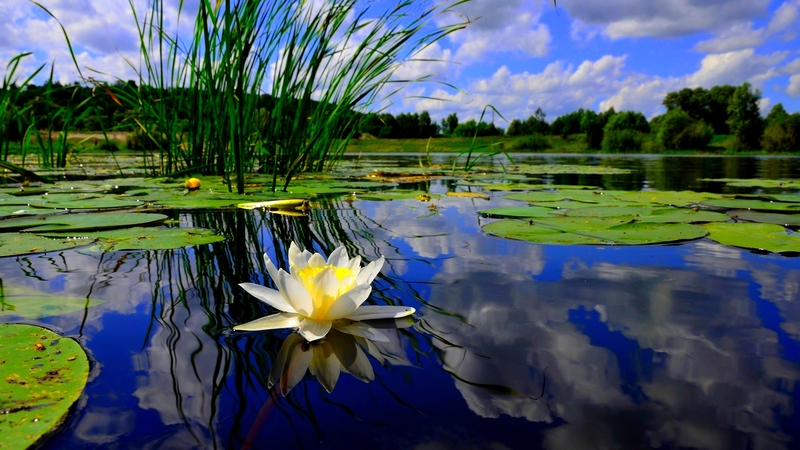 Flowers – Water Lily flowers float on the surface of the water and its petals are white, various shades of pink, red and yellow. Growth Habit – This plant will grow horizontally from its rhizome. Stems grows from the orifices of the rhizome. Leaf Pads – Hardy leaves are round and thick with smooth edges When they are young, leaves have brown spots on the most green leave and over time it grows completely green. Propagation – Hardies can be propagated by duplication or though seeds. Here are some the different varieties of Hardy Water Lilies available for sale in the United States.